New Shirts, Merch, and TPBs! Posted: Thu Jul 14, 2016 3:15 am Post subject: New Shirts, Merch, and TPBs! 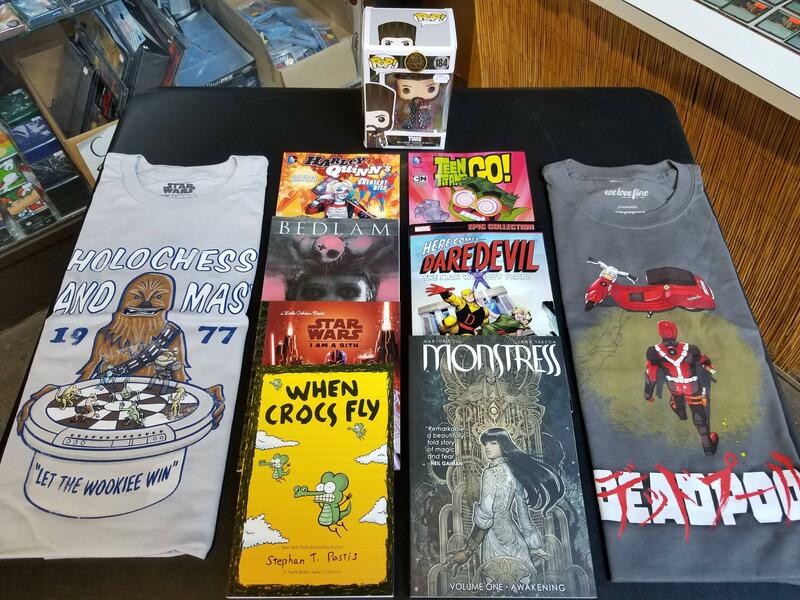 An excellent new selection of shirts, merch, and graphic novels has arrived here at Merlyn's. We've got exciting new TPB releases like Monstress Volume 1: Awakening, new compilations like Epic Collections - Daredevil: The Man Without Fear and Harley Quinn's Greatest Hits, plus awesome new shirts for Star Wars and Deadpool. Stop by the store soon to check out all these great new items!